Suitable for low pressure gravity systems high pressure systems and combi boilers (0.1 bar). 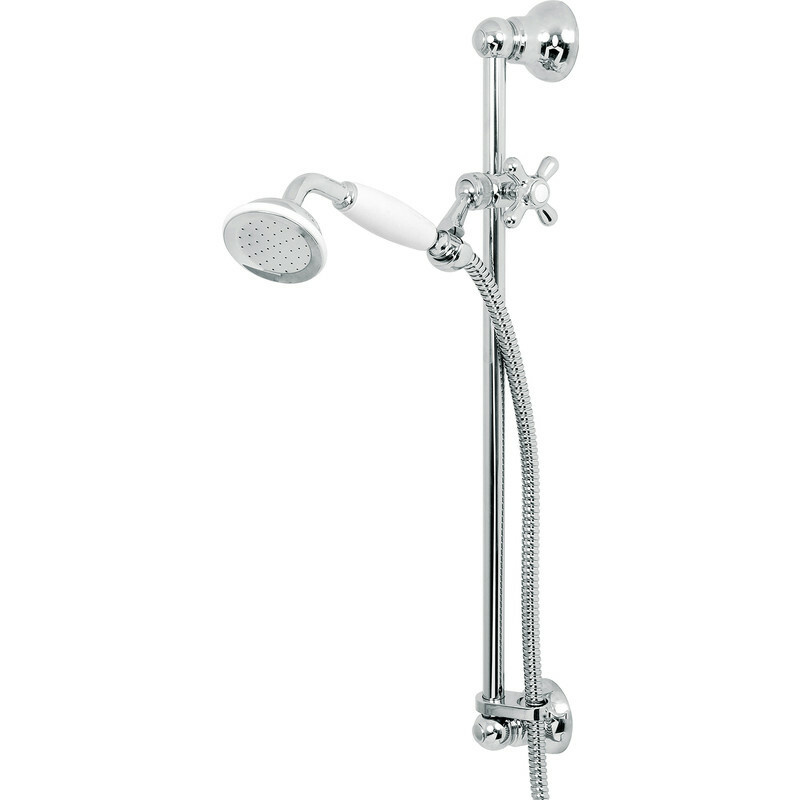 Polished chrome brass shower handset with porcelain effect handle. Hand set holder with easy to use traditional cross-handle slider mechanism. Durable 1.25m chrome plated brass hose. 550mm slide rail. Deva Traditional Shower Kit is rated 5.0 out of 5 by 1. Rated 5 out of 5 by Jimbob100 from Nice quality. I recently bought this product and fitted it yesterday.Very easy to install and use.Nice quality and is working well on a mixer taps fitting.